ANY leading politician whose approval ratings had fallen by around 30 per cent since 2015 and were running at a 13-year low would be worried. Yet despite this Vladimir Putin’s approval ratings are still above 60 per cent. Eat your heart out, Emmanuel Macron. Since August 1999, Putin has been pulling the strings in Russia either as prime minister or president. To describe his record at home during that time as poor would be to give him a large benefit of the doubt. Not only has little progress been made on a number of important issues, but in some cases things have got worse. Today only one in three Russians still believes that Putin is the man to sort things out. Even this confidence flies in the face of the evidence. Russia took a significant hit during the 2008 financial crisis. Then low commodity prices in 2014, combined with Western sanctions, further undermined the economy. Officially the blame lies with changes in global oil markets. 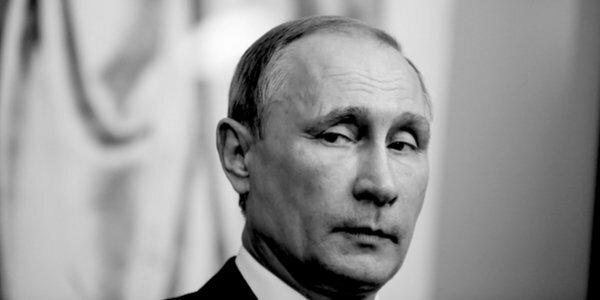 The real culprit is Putin himself, who has done little to diversify the Russian economy. The rampant corruption that chokes entrepreneurship, investment and ultimately growth is allowed to continue unchecked. According to a research institute with links to the Kremlin, one in five Russians live below the poverty line. In Russia this does not mean ‘relative poverty’ as in the UK, but actual poverty meaning they are unable to buy anything beyond the staples needed for subsistence. The loss of purchasing power is all too evident when Russians go shopping. They are seeing their own version of hidden inflation. In the UK we complain about chocolate bars getting smaller for the same price; in Russia the usual ten-pack of eggs has become a nine-pack, with no corresponding change in price. A combination of chronically high inflation and this month’s VAT rise from 18 to 20 per cent will make matters significantly worse. Around 19.3million in Russia and Russia-controlled Crimea live below the average subsistence level. Even allowing for a low cost of living, this is painfully low. On initially taking power in 1999, Putin was in charge of a strong, oil-fuelled economy. Today the economy is struggling and Russians are beginning to become angry. One cause of discontent is the government’s plan to raise the retirement age from 55 to 60 for women and from 60 to 65 for men. This may seem ridiculously early to us in the UK where the retirement age will be 66 both for men and women next year with further increases planned. However, due to the low life expectancy in Russia, the five-year step means around four in 10 men will not live to receive any of their pension. There is a 25 per cent probability that a Russian man will not even live to 55. Whilst the political class and the oligarchs live high on the hog thanks to the proceeds of endemic corruption, for millions of ordinary Russians life is increasingly tough. Miserable though he might be, there is little chance of the man on the Moscow omnibus effecting change. Putin’s regime will continue for some time yet. There is little in the way of political opposition in Russia, only the illusion of democracy. The Kremlin by its tight control of the media ensures that opposition voices are muted. There is, however, grassroots dissent. Anti-corruption demonstrations are increasing. In March 2017, protests against alleged corruption in the Russian government took place simultaneously in cities throughout the country. Newsweek reported that an opinion poll by the Moscow-based Levada Center indicated that 38 per cent of Russians supported the rallies and that 67 per cent held Putin personally responsible for high-level corruption. Demonstrations are quickly and violently put down by the police and security services, aided and abetted by an obedient judiciary which toes the Kremlin line. Russia’s military, however, is not immune to the faltering economy. In his last state of the nation address, Putin boasted of new game-changing nuclear weapons. Behind this is the inescapable fact, of which defence chiefs are well aware, that Russia’s defence spending shrank by 17 per cent from 2016 to 2017. The Kremlin’s strutting and sabre-rattling has the hallmark of weakness rather than strength. The interventions into Georgia, Ukraine and Syria, even the intrusion into the debacle that is Venezuela, are not signs of strength. They are not aimed at solidifying a place as a world player, rather they are directed to a home audience. Putin’s foreign adventures are appeals to Russia’s nationalistic instincts in an attempt to bolster his own position. Unfortunately for Putin, they appear to be gradually becoming less effective. We should be aware of the potential for Russian mischief on a geo-political scale, but Russia today is not the USSR of the 60s and 70s when it posed a very real threat to the entire West. For the long-suffering people of Russia, however, things are going to get worse before they get better.